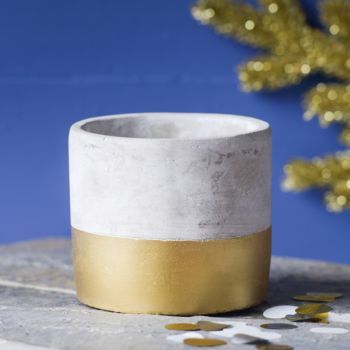 This beautiful urban cement and gold dip planter will add a glamourous touch to any room. 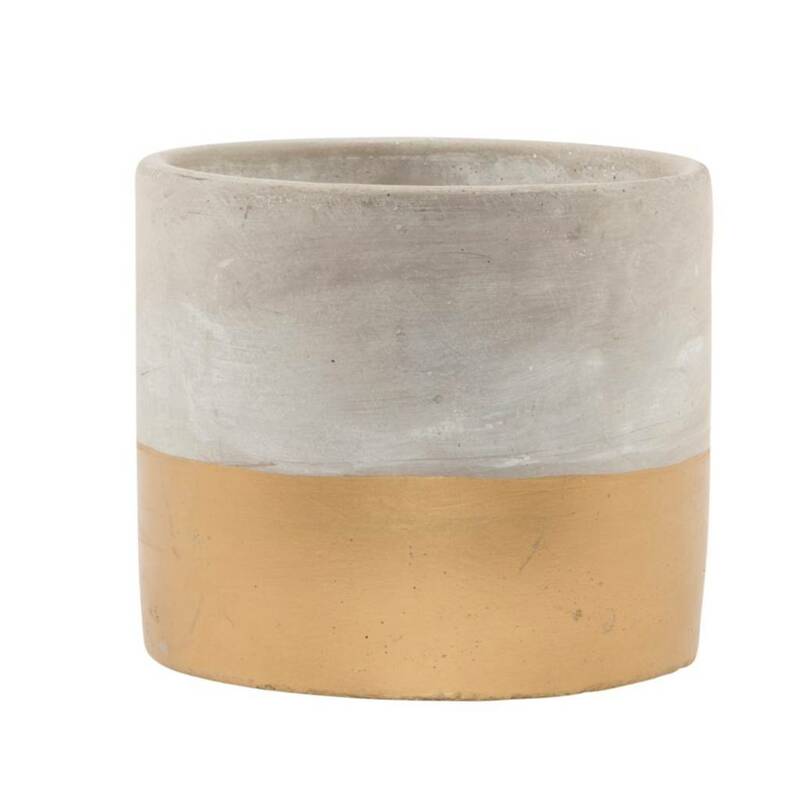 A modern stylish planter which is an on trend item with the minimalist look and luxe style. A great item which will look in place on any table or window sill.